it's a very good phone !!! hi! does anyone know if you can expand the phonebook to more than 510 entries using the 12MB internal memory? thanks! I've met the same problem as you about MS3303H driver for data cable? I've tested the data cable in three different kinds of OS, WIN XP, WIN 2000 and WIN 98, and finally I found it wasn't the problem of the USB driver,but the OS of your PC! The same data cable does work on WIN 2000 and WIN 98 operating system without any trouble, but something wrong with WIN XP. So you can try your cable on other PC. I have sent the usb driver to you by mail. whats the meanin of Class 10 (4+1/3+2 slots)? so can any one tell me what should i do and whats the problem with this? Now to the flaws, first of all the K500/K508 series has poor build quality, which is rather creaky and weak for a phone of this class. The K500 is especially prone to scratches, while the K508 looks poor when that horrid orange light leaks out unevenly from under the keypad facia. 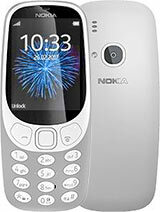 I wont criticize it for lack of expandable memory and bluetooth, since this is a 2004 era phone and was the best in its price/class upon release. People who dont care for features may also find the Nokia 6610i a more 'usable' phone. hey i've been using this fone for the past 2 months and i find it pretty good for its price.i miss the bluetooth and the external memory but otherwise it's a fantastic fone. I have shared(received) some folders using infrared and now my phone (k500i) is not working properly. 1. When i start a game it shows "Application Error". 2. When i play the recorded videos it says "Playback Failed". 3. Some of my pictures have disappeared. 4. Also the UNLOCK MORE CALLS options on bottom of display have disappeared. Can someone help me out on this. Is this a VIRUS.If so can install a ANTIVIRUS on my phone and where do i get it FREE. I had bought this phone just 3 weeks back. there is some of application(ex:java) wich can perform FM radio on the telephone. It' a preety good phone but i wouldn' t mind a little bit more memory or a card slot! Also Irda is quite slow and a Bluetooth connection is quite necessary! For me i can say that I' d rather pick the FM radio in stade of the mp3 player. hiii.my name is M.Saqib i got my K500i a week and it iz very nice mobile it iz co0l it has a powerful light itz battery iz very high it has go0d caMera. Hi I have a Sony Ericsson F500i. You can't use mp3 as your ringtone. You can fix this with something. I just don't know what. If anyone knows what, can ju please tell me. Yes. Great phone for a cheap price. 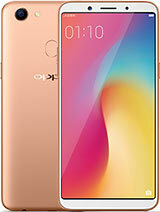 My name is shahroze ali and i am from pakistan iwant to tell you that K500i is super hit mobile my all friends have this mobile. As it is good but it also cheap in price it's cost is 9500(pakistani ruppess). I JUST LOVE THIS MOBILE . the phone is really good compared with his price is too good .. 65k TFT, mp3,polifonic 40 chanales,and video etc... it easy the baterry is good . GOOD phone ! if you want to remove the camera shutter sound , just go to setting> sounds and alerts> volume> and then reduce the volume down to zero, that'll solve your problem. great phone! it got everything that i want. i enjoy using all the features. best value for your money. better than any other leading brand. check it out.